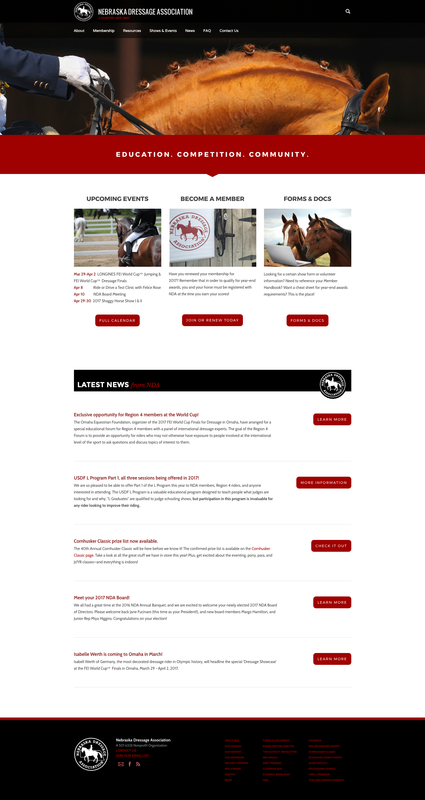 In addition to a complete redesign of NDA's website, I have worked to rebrand this nonprofit organization and develop a consistent marketing approach. 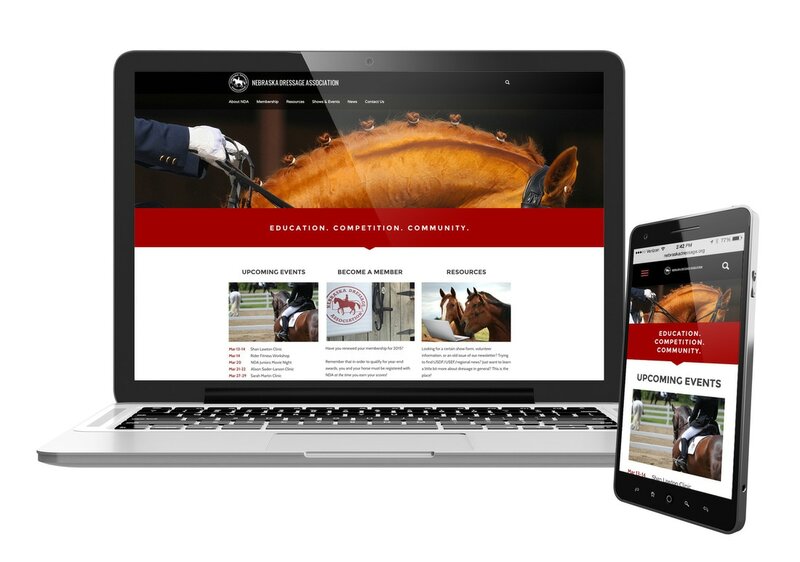 This website won a 2015 USDF GMO Award (a national award open to over 130 USDF chapters across the country) for Outstanding User Experience and a 2016 Honorable Mention for the same award. © MELISSA WARD. ​ALL RIGHTS RESERVED.